Reincarnation is one of the greatest mysteries in the universe. The validity of reincarnation has been widely accepted in most cultures, religions and spiritual traditions of the world since ancient times. The technique of Past-Life-Regression was originally born out of scientific explorations to unearth the mysteries of reincarnation. Since then it has evolved from a technique to a complete science and today there exist many fields of specializing within the science of Past-Life Regression. In this book, Dr.Newton Kondaveti, one of the world’s leading experts on Reincarnation and Past-Life-Regression, takes you on an amazing journey to explore the dimensions of reality that form the basis of not only reincarnation, but also the origin and creation of the universe itself. Delving deep into the wealth of his own metaphysical experiences as well as the experiences of thousands of his clients, he brings to light the importance of Past Life Regression and shows that it is a powerful tool that can transform the world. "Unless we understand our past, we cannot understand our present. And unless we understand our present we cannot build a beautiful future. In a most scientific manner, Dr. Newton&apos;s book shows us why Past Life Regression is such an amazing tool that helps us to understand the past and present, thereby enabling us to create a wonderful future and take quantum leaps in our Souls&apos; Evolution." “Dr. Newton’s book is a very balanced presentation that makes it easier for us to heal our past. For most of us our unconscious mind – our memories – are a mystery. Past Life Regression is an important dimension of all forms of self-improvement along with psychotherapy, rebirthing-breathwork, bodywork and other forms of healing. "The Science of Past Regression should be required reading for everyone. Understanding the principles in the book is a map of understanding for our time on earth. I have read many books on the subject and Dr. Newton Kondaveti presents this subject with clarity, simplicity, understanding, and a depth that makes it stand out. Thank you Dr. Newton!" 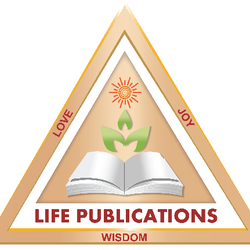 "A delightful book bringing together all aspects of reincarnation and past lives and their power to heal. I strongly recommend it"